Welcome to Cupcake Tuesday! Be sure to check out the ALL NEW Cupcake Heaven page! And if you are in need to a special cupcake design, use the “Be a Hero” area! They are big…small…leather…cloth…something extra we carry around…usually jam packed full of everything except the kitchen sink…is it a Purse or a Handbag? Which do you call it? Mine is a Purse, maybe the name is regional…you know…where you live determines what you call it. 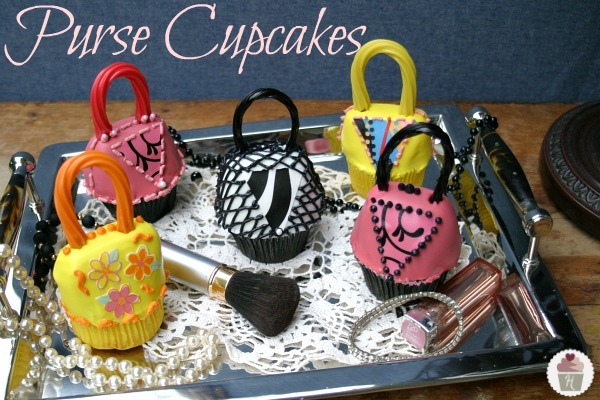 Well, whatever you call them…a Purse or Handbag, I think you are going to love these Purse Cupcakes a.k.a. Handbags! 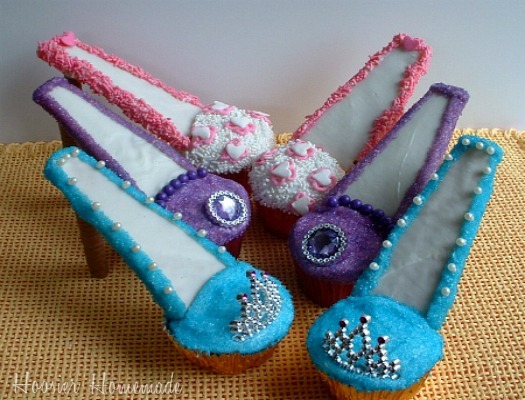 And they are going to look perfect with the Stiletto Cupcakes and the Rings that I made for Mother’s Day last year! These little beauties have been on my list ever since I saw them last year on The Today Show when Karen Tack first created her version. Then when I received the Cupcakes, Cookies and Pie, oh my! Book, I knew I wanted to make them for Mother’s Day. I’ve had a little stash of supplies that Wilton sent me, including their Sugar Sheets. 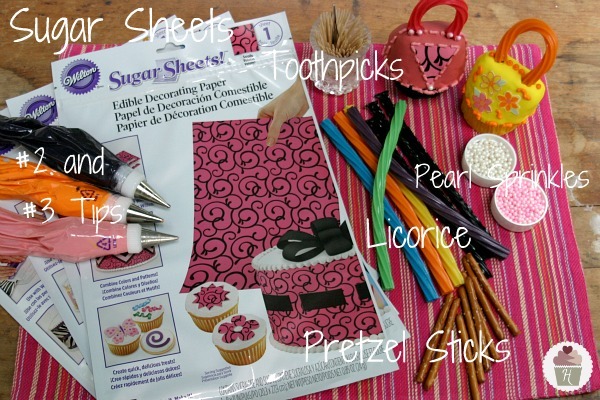 A couple months ago, I was browsing through the 2012 Cake Decorating Yearbook, and spotted their Hip Handbags, but these were decorated with the Sugar Sheets. Even though the design was different than the others, I thought it would be fun to combine the two. Frost cupcake with a thin layer of frosting. Place in freezer for about 20 minutes. Add another layer of frosting, filling in all the cracks. Run an offset spatula under hot water and smooth the frosting. For the handle: cut a piece of licorice about 4 inches long and gently push pretzel stick into end, trim pretzel stick if necessary. Push gently into top of cupcake. 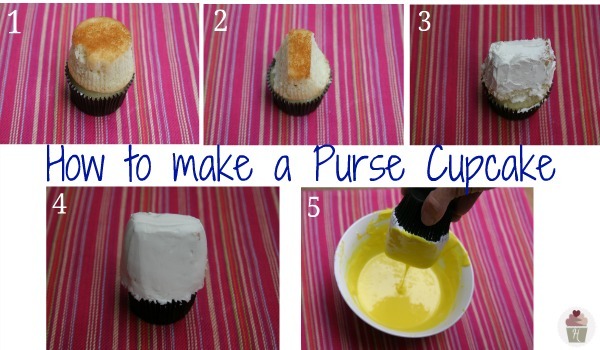 Embellish Purse with whatever sprinkles or frosting you like. I used a #3 tip with colored frosting and Jumbo Pearlized Sprinkles. And a #2 Tip for the black laces. For the tassel on the yellow cupcake, I cut a piece of black licorice. And for the yellow purse with orange handle, I cut out the flowers from the Sugar Sheet. Notes: Canned frosting is best when melting, don’t use the whipped kind though, just regular vanilla works best. 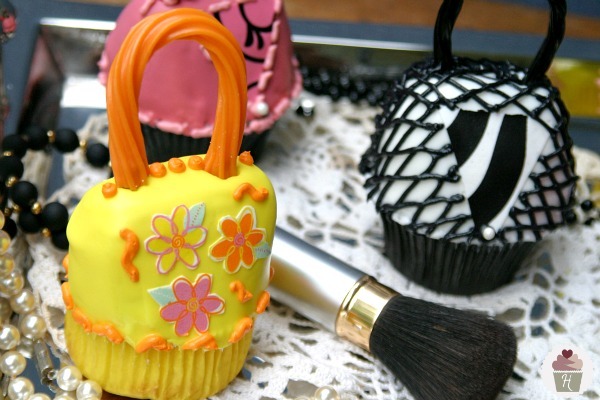 Like the Purse Cupcakes? 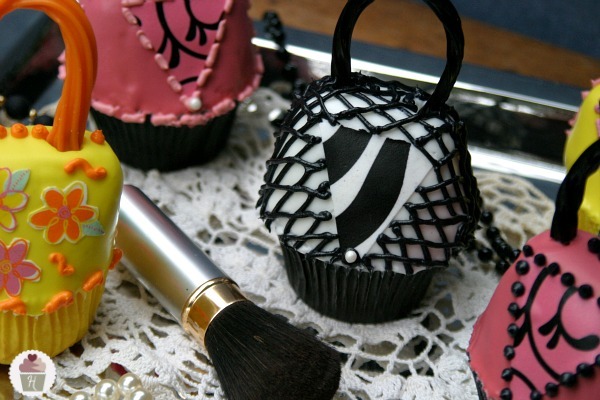 You may also like the Stiletto and Ring Cupcakes! Disclosure: I received products from Wilton to try. As always, the opinions are all my own. Now it’s your turn…show off your cupcake creations! I’d appreciate a link back and be sure to check out the other cupcakes! 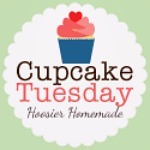 If you are reading this post in email, pop on over to check out all the cupcakes linked up to Cupcake Tuesday! Thanks for stopping by! 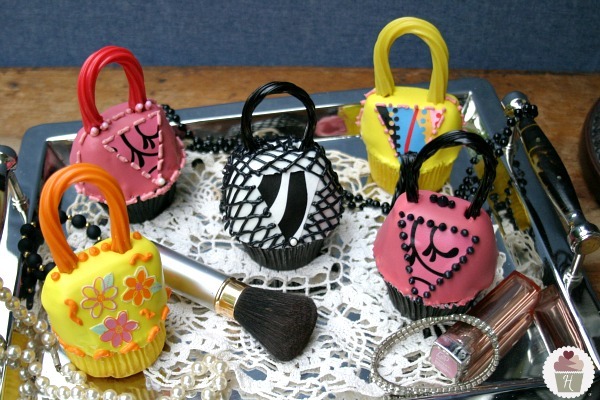 Thrilled you like the Purse Cupcakes! they are so cute!!! can’t wait til my 5 year old requests some more girlie cupcakes! !